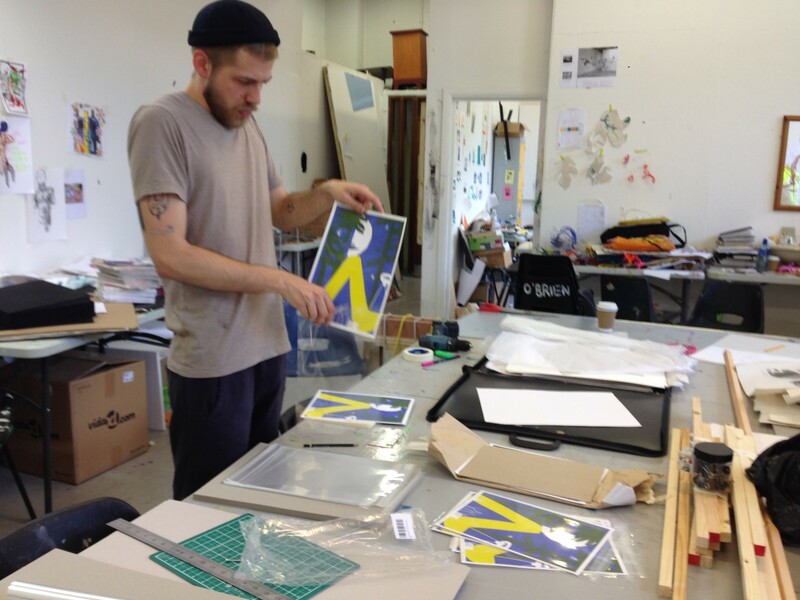 Fredrik Andersson from 3rd Year BA Illustration course at Camberwell has spent a lot of his time in the College printmaking workshops. 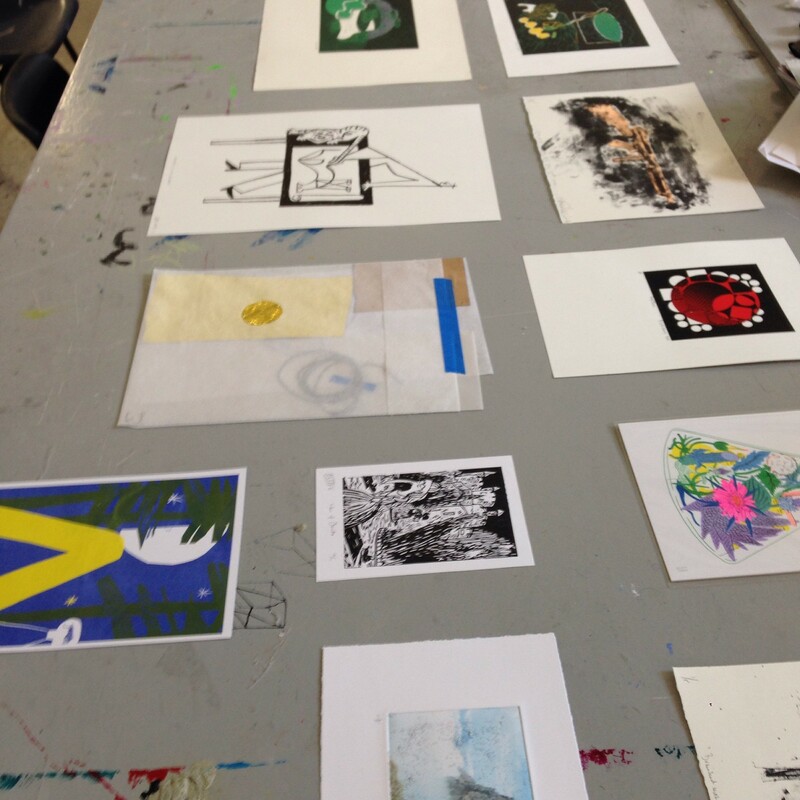 Now, close to the end of his third and final year he wanted to express his gratitude for all the things he has learnt from the technicians and tutors regarding printmaking. 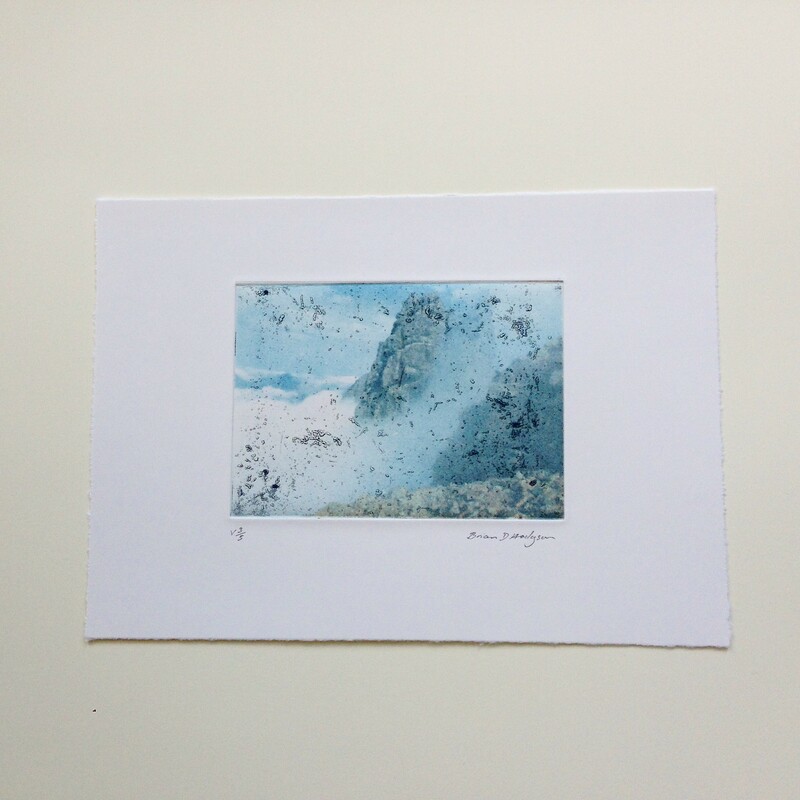 So he organised the ‘Inculcate’ art show, exhibiting the work from the technicians and teachers, also promoting the Colleges vast knowledge within all areas of printmaking. 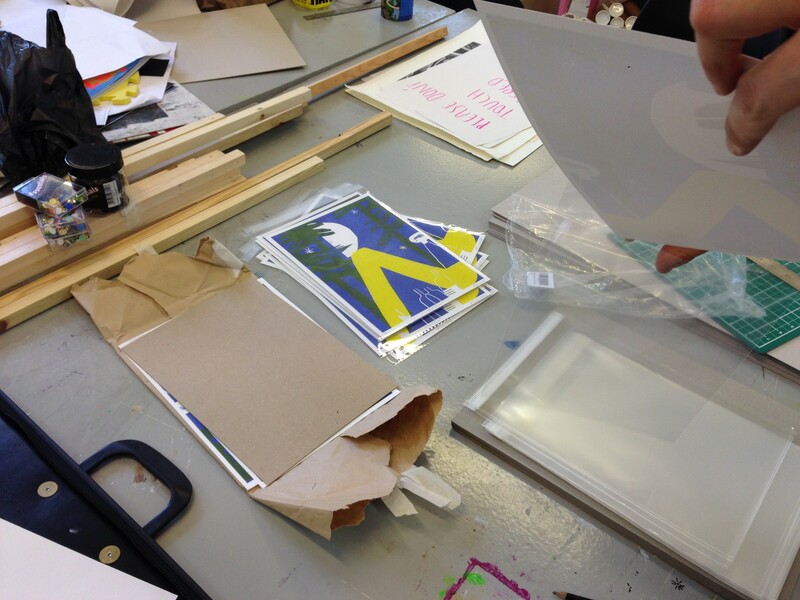 Here, we have images of a week of preparations that went into the show, as well as some of the final prints. 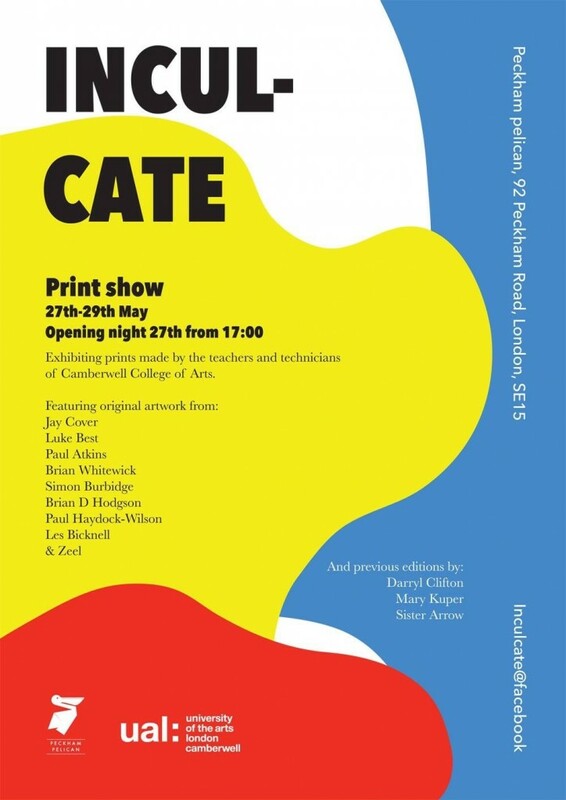 ‘Inculcate’ print show takes place at Peckham Pelican, 27-29 May, opening night begins from 17:00. All proceeds will go towards raising money for Fredrik’s external graduation show ‘LOOK HERE’, taking place in Peckham, Thursday 30 June. 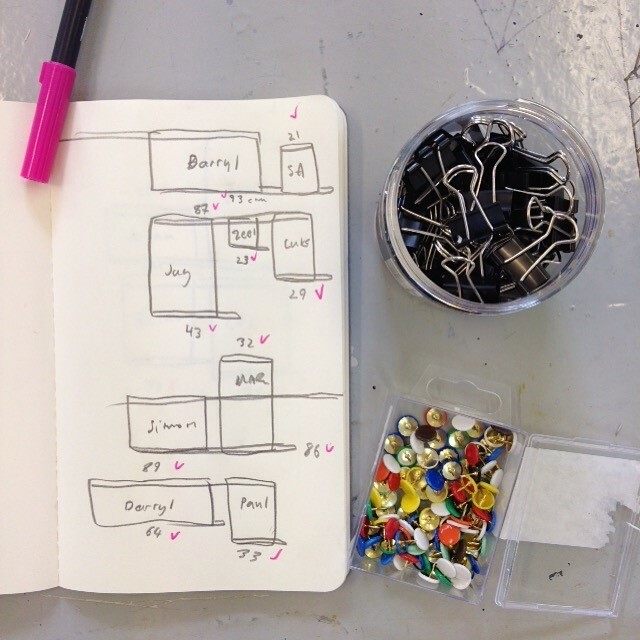 You can see more of ‘Inculcate’ on Camberwell’s Instagram for Fredrik’s Instagram takeover!